Family Status – Married with four adult children, nine grandchildren and on great-grandchild. 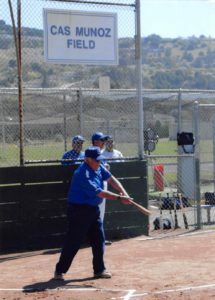 Lt: Brother Tom Munoz, played at SLHS 1950 to 1952, Cas Munoz, Son Dave Munoz, played at SLHS 1973-75. 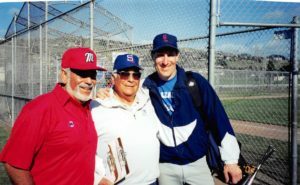 2002 -The City of San Leandro and the San Leandro Unified School District named the varsity baseball field in honor of Cas Munoz.